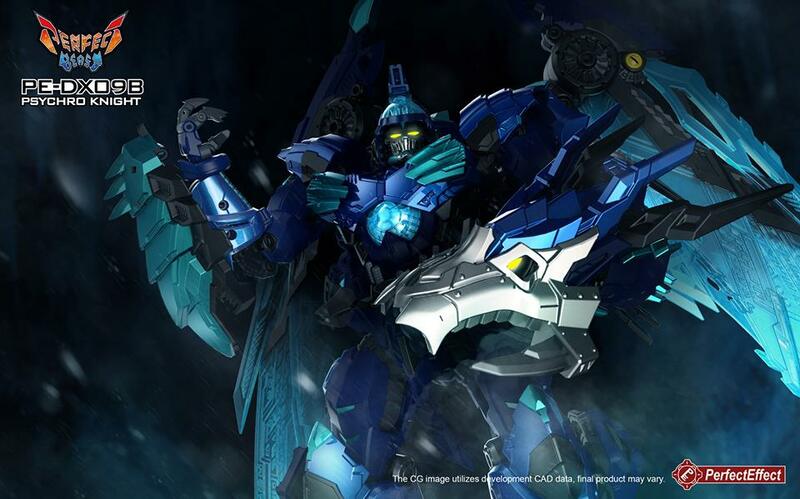 Courtesy of Perfect Effect Facebook, we have the color renders of their upcoming Perfect Effect PE-DX09B Psychro Knight (RID Cryotek). 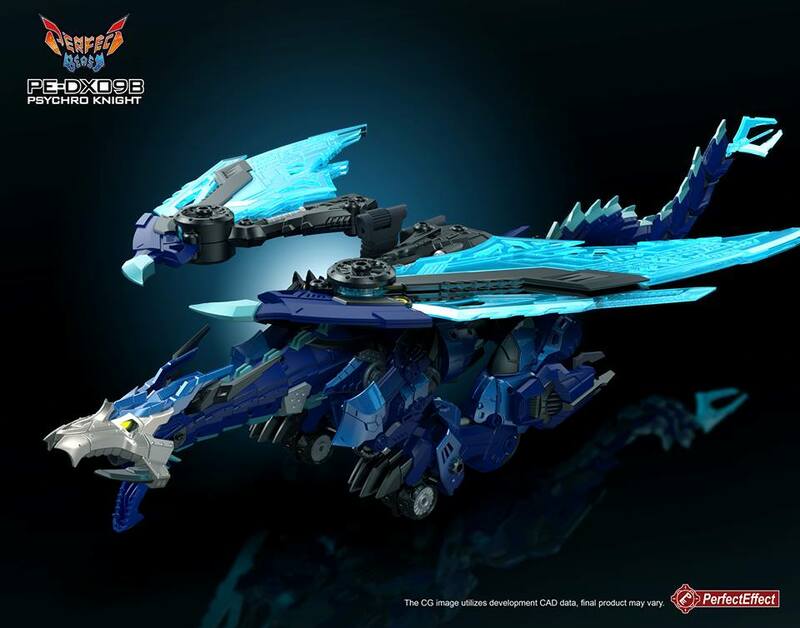 This figure is a direct repaint and remold of Perfect Effect Mega Doragon as an impressive blue ice dragon. 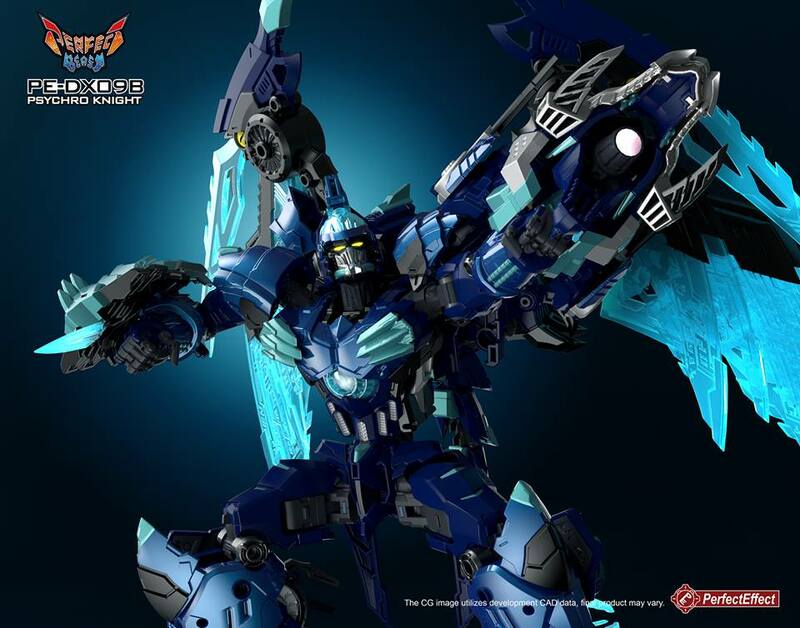 Original RID fans and collectors should have identified the inspiration on RID Cryotek, a blue repaint of the original Beast Wars Transmetal II Megatron toy. 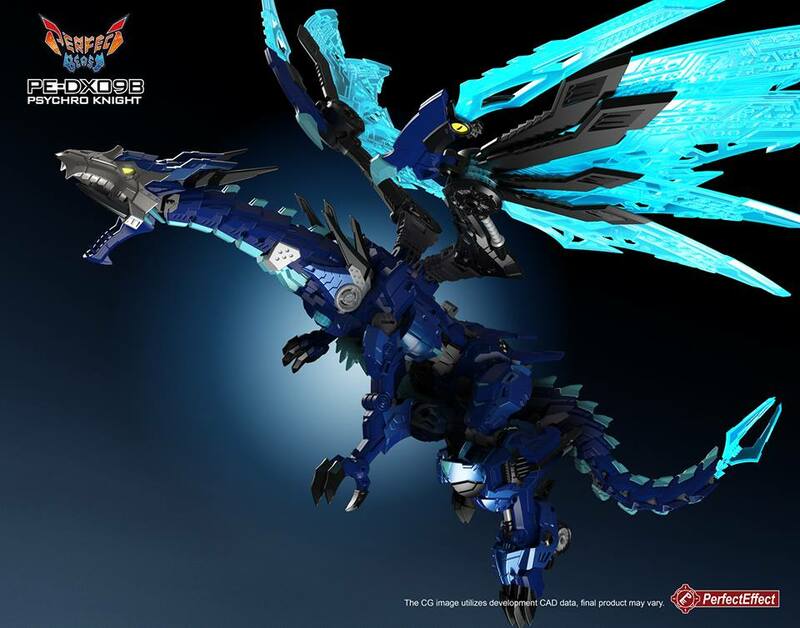 Perfect Effect included a new robot and dragon head which you can change between the regular Mega Doragon face and dragon head also included. This figure is expected to be released by May 2019. While you wait, you can enjoy all the mirrored images after the jump! Share your impressions on the 2005 Boards! 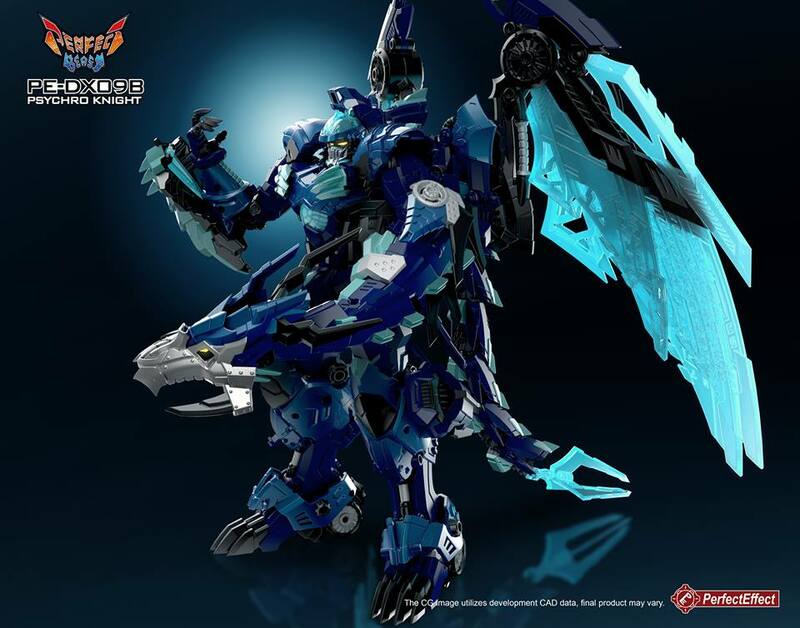 You could look into the Tamashii Aura Effects, Blue and White. There's also KO's of them and the KOes tend to be good quality of the effect pieces. Maybe some of the KO Wind Effects too. I've seen those and looking for a good price. I really want to find something like ice shards and icicles. Wow, that color looks amazing. Definitely picking him up for sure when he comes out. 2018-2019 has been a good year for my collection. Mp-43 BW Megatron was the icing on the cake, cant imagine what could possibly top it. Some of the Figure-Rise effects might work for you too. 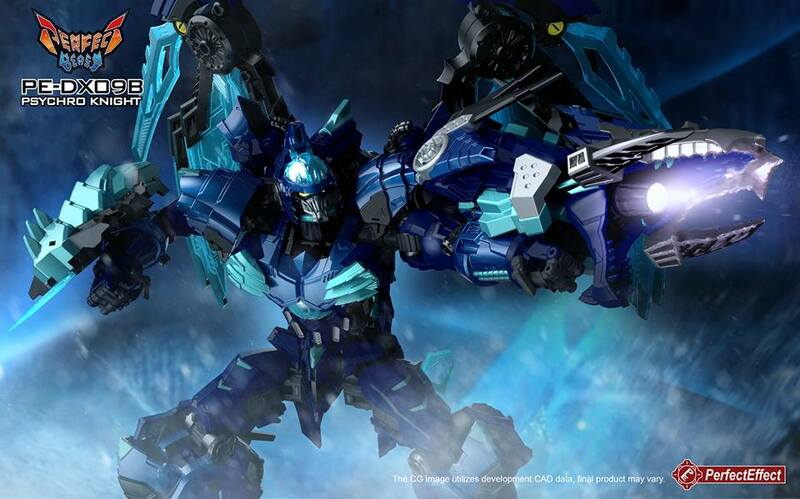 I'm trying to curb my anxiety for this figure by looking for ice effects for it. Any suggestions? Amazon.jp is the exception with unusually fast and affordable shipping options. Taobao does not and I wouldn't be surprised if taobao sellers intentionally overcharge you and uses slower shipping methods. Yeah but Taobao is also the exception when it comes to prices. Exception or not, it's an option that's available without consumers needing to do anything special. You wouldn't hear them from the guy trying to make the point of how you can get two of these for one Megatron. Doesn't fit his narrative. And anyways for people in the US, you can get BW Megatron for 220 dollars shipped from Amazon. If you choose to get from a someone else for higher, that's his/her fault. I learned the hard way that bigger items can easily cost 60+ to ship and take 2+ weeks to arrive. That is before shipping though. Wow, $138 is a steal. Is there a TaoBao instructional FAQ out there somewhere? Blue IS one of the yummiest flavors. Looks like this is on track for May. Yup, that should be it. The funny thing is, if both of them have KO, I would say the KO version would be the similar price, probably all around $100. So…. why the price difference in the non-ko version? No you can't. BW Megatron is 320? You are still short 40 bucks. Heck, if you go the AJ route, BW Megatron is only 220.